Free phone program which provides either a cell phone or landline. Supplemental Nutrition Assistance Program (Food Stamps or SNAP). The National School Lunch Program's Free Lunch Program. Other assistance programs in your state. Free cell phone program for those at or below the 135% poverty guidelines. Budget Mobile LifeLine offers government assisted wireless services to low income families and individuals in Missouri. Qualified customers will receive a free cell phone plus 250 free minutes and 250 free texts every month. We offer LifeLine discounts to qualified MO customers who meet certain eligibly requirements such as government assistance or a household income that is at or below 135% of the federal poverty level. Budget Mobile LifeLine is limited to one per household and cannot be combined with any other LifeLine offering. Show Me State residents, get a FREE CELL PHONE from Budget Mobile, under the Missouri LifeLine program. Each eligible customer will receive a free phone, 250 free minutes every month, and 250 free texts every month. 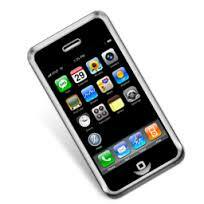 Budget Mobile will provide a NO CONTRACT PHONE when you sign up for LifeLine phone service.